British insurer RSA posted a 25% rise in 2016 operating profit, beating forecasts thanks to strong performances in most of its core businesses and sending its shares to their highest in over five years. Operating profit for the year came in at £655m, compared with a company-supplied consensus forecast of £626m. Home and motor insurer RSA has been undergoing a restructuring programme under Stephen Hester, the former head of bank RBS. A plan in 2015 by Zurich Insurance to buy RSA for £5.6 billion fell through due to problems in Zurich's business and Hester said the insurer was better off alone. "Our shareholders are benefiting significantly from not having sold to Zurich," Hester told a media call, adding there were no bids on the table for RSA, and that the firm "does not need a deal". RSA said its overall combined operating ratio strengthened to 94.2%, from 96.9% in 2015. A ratio below 100% indicates an underwriting profit. Underwriting performance was strong in Britain, Canada and Scandinavia but Ireland was a "disappointment", RSA said in a statement. Hester joined RSA in 2014 in a shake-up following an accounting scandal in the firm's Irish division. RSA raised its target for return on tangible equity to 13-17% from a previous range of 12-15%, and said it hoped to "perform in the upper part of this range". It achieved underlying return on tangible equity of 14.2% in 2016, compared with 9.7% a year earlier. RSA said its cost-reduction programme was ahead of original targets and it was upgrading that target for a third time to more than £400m sterling of gross annualised savings by 2018, from a previous target of more than £350m sterling. The insurer said it would pay a final dividend of 11 pence per share and total dividend of 16 pence, up 52%from a year earlier and above a forecast 15.1 pence. Meanwhile, the former chief financial officer of RSA's Irish business was yesterday fined £35,000 and banned for three years by Britain's accounting watchdog. The Financial Reporting Council (FRC) said it had fined Rory O'Connor and banned him for three years from the accounting profession for approving "materially inaccurate" financial statements. Mr O'Connor also agreed to pay £18,000 towards the watchdog's legal costs. RSA said in 2014 that a review of its businesses found that the accounting irregularities were confined to its Irish business, where there had been "inappropriate collaboration" among a small number of executives in Ireland. 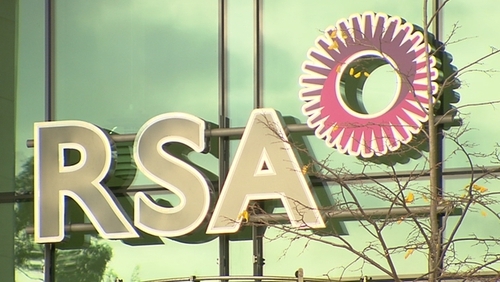 It was forced to inject £200m into its Irish business at the time and RSA Insurance Ireland said yesterday it has strengthened its control framework since 2013. The FRC also made its first sanctions of actuaries, a move its executive counsel Gareth Rees said would send a strong signal to the accounting and actuarial professions of the importance of upholding high standards of professional conduct. "They demonstrate the importance of compliance with the core principles of the Actuaries Code, including the obligation to speak up about, and challenge, improper conduct," Rees said. Martin Ryan, former chief actuary for RSA in Ireland, admitted that his conduct fell significantly short of professional standards, the FRC said. Mr Ryan was fined £101,500 and banned from the profession for three years. He will also contribute £11,000 pounds to the FRC's legal costs. And Gerard Bradley, a former actuary at RSA in Ireland, also admitted his conduct fell short of professional standards and was fined £45,500 pounds, and will pay £3,500 in costs. Mr Bradley failed to blow the whistle or challenge the inappropriate claims reserving, the FRC said.